The standout player on any hotlist of late should be the man that I receive daily tweets from fans about, asking when he’ll be called up to replace Darin Ruf or Philadelphia legend Ryan Howard. The man who was recently an afterthought or a player most fans thought was a fizzled out prospect who had been ravaged by concussions. The player that had to abandon his catching position due to those injuries and moved elsewhere on the diamond in order to continue his career. 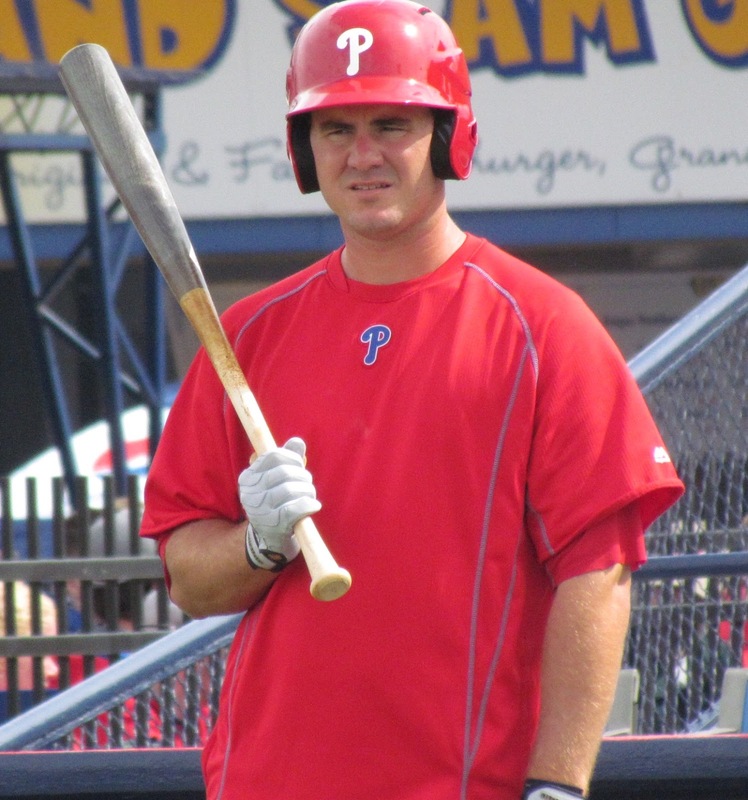 The guy that was acquired from the Giants in a trade for Hunter Pence back in 2012, Tommy Joseph. The 24-year-old first baseman/designated hitter has been on fire, excelling at the plate all season. In 23 games for the Lehigh Valley IronPigs, he sports a .392 average and a 1.126 OPS, both of which lead the Triple-A International League. Joseph a right-handed hitter, has slammed seven doubles and six homers while driving in a team-best 17 runs. He’s playing like someone very deserving of a shot in the majors, but Joseph was a .197 hitter in parts of two seasons at the Triple-A level prior to this year, so it’s possible the team isn’t convinced what they are seeing is the real Tommy Joseph. The Phils do have a new front office in place that seems to be doing things differently, so striking while the player is hot could be in the works and a promotion may not be too far off for the player once ranked among the team’s top prospects. It would be a smart move for a team whose 1st basemen rank 28th out of 30 MLB teams in batting average. With the Double-A Reading Fightins, outfielder Dylan Cozens is having a successful season, showing plenty of offense. In 29 games, the 21-year-old is batting .264 with seven home runs and 22 RBI while stealing seven bases without being caught. An Arizona native, Cozens, a lefty batter, was the Phillies’ 2nd round draft selection out of high school in 2012. Cozens, mainly a right fielder, has player seven games in left field this year as well. Also in Reading, right-handed pitcher Ben Lively has been very solid, posting a 4-0 record with a 2.12 ERA and an 8.5 K/9 mark in six starts this season. Lively, 24, was acquired from the Reds in a trade for Marlon Byrd and a was a 4th round pick of Cincinnati in 2013. Righty pitcher Tyler Viza has been scorching hot all season on the mound for Class A Advanced Clearwater. In four starts the 21-year-old has a 4-0 record with a 1.14 ERA while striking out 28 and walking four in 23 2/3 innings. Also from Arizona, Viza was a 32nd round draft pick in 2013. Puerto Rican infielder Emmanuel Marrero has been excellent near the top of the batting order for Class A Lakewood. On Sunday, the 22-year-old switch hitter had his third straight multi-hit game and is batting .333 through 26 games this season. The 7th round draft pick from 2014 has played second base, shortstop as well as third base this season for the BlueClaws. Righty pitcher Shane Watson may be in line for a promotion, as he’s been strong in five outings for Lakewood. His 2-1 record, 3.10 ERA and 8.4 K/9 mark have him looking ready for a bigger challenge. The 22-year-old was a supplemental 1st round pick (40th overall) in 2012. He missed approximately two years while recovering from two separate shoulder surgeries. Watson was childhood teammates with top Phils prospect J.P. Crawford. Transactions: Reading announced that RHP Mark Leiter Jr. has been activated from the disabled list and added to the active roster on Monday. Leiter, a NJ native, had been out with a shoulder strain dating back to spring training. That move results in the demotion of righty reliever and Temple product Matt Hockenberry, who was promoted from Clearwater over the weekend. Reliever Edubray Ramos was promoted from Reading to Lehigh Valley on Friday. The 23-year-old Venezuelan notched seven saves and sported a 2.40 ERA with a 9.0 K/9 mark in 11 outings prior to the promotion and has thrown three scoreless innings with the IronPigs since moving up. Ramos was ranked by PhilliesNation as the team’s number 18 prospect this year and is deserving of a Hot List mention.